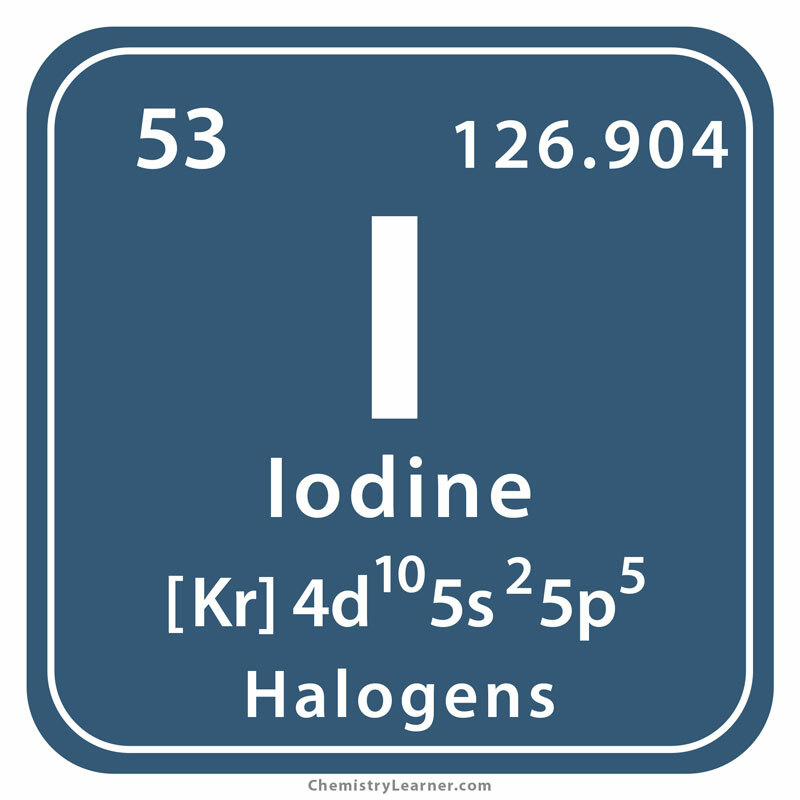 A crystalline metalloid, iodine (pronounced EYE-eh-dine) belongs to the family of halogens. 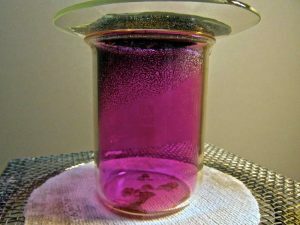 Denoted by the chemical symbol I, it undergoes sublimation when heated to form a purple gaseous vapor, sometimes called as Iodine gas whose molecular formula is I2. Although it is less reactive than the other members in its group, it forms compounds with other elements [1,2]. 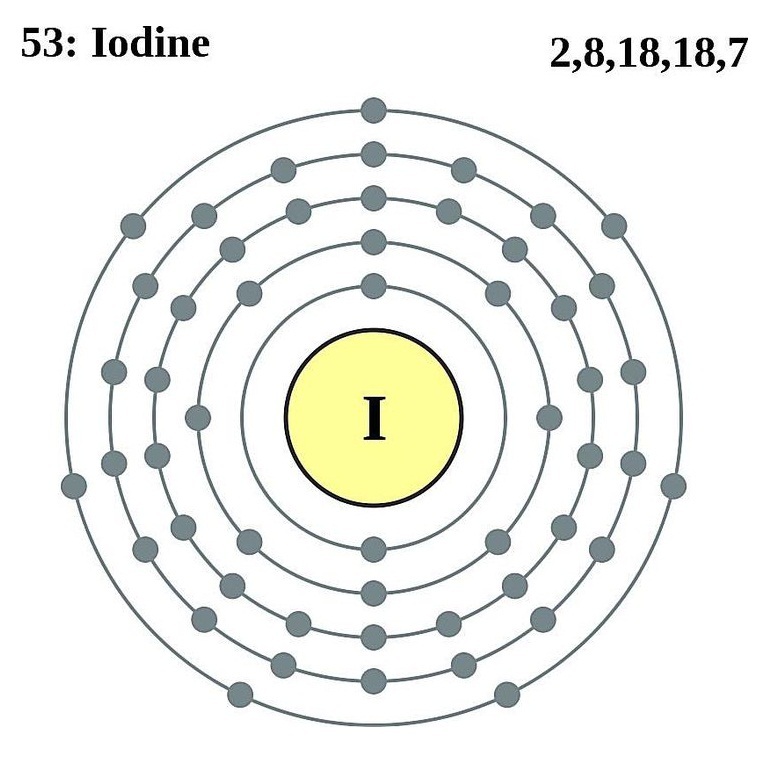 It has 34 isotopes with mass numbers ranging from 108 to 141 of which only I-127 has a stable half-life. 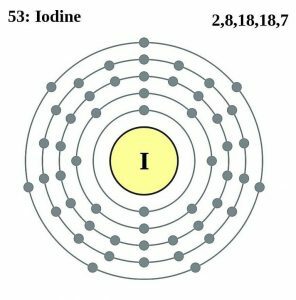 Seawater contains around 0.05 parts per million of the metalloid, existing in the form of iodide, most of which would absorb seaweed. The other major sources are iodate minerals, natural brine deposits, and brackish water in oil or salt wells . Origin of its Name: Its name is derived from the Greek word ‘iodes’ which means violet . 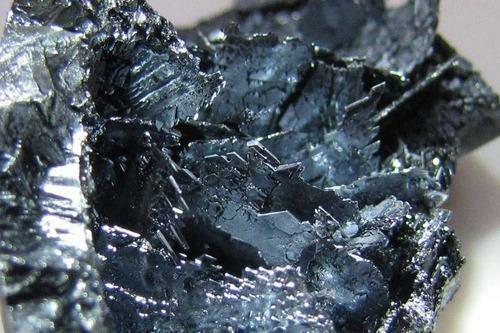 In 1811, when Courtois added sulfuric acid to seaweed ash to extract sodium and potassium, he observed some purple fumes that condensed into crystals exhibiting a metallic luster. 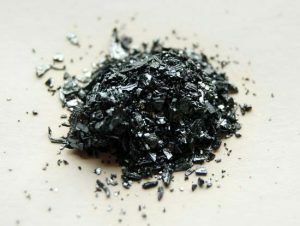 As he suspected it to be a new metal, some amount of the sample was given to two other scientists Charles-Bernard Desormes and Nicole Clement for further investigation. 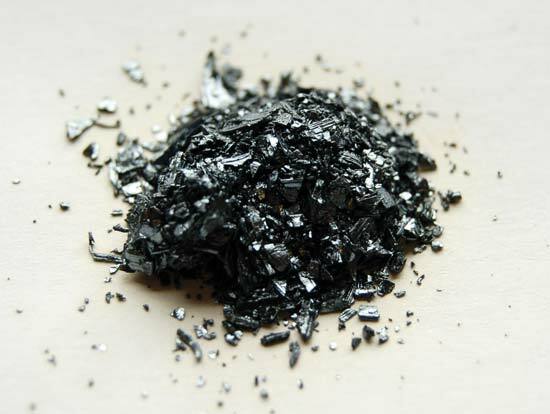 In 1813, November, the element was given for public display at the Imperial Institute, Paris after which Joseph gau-Lussac and Humphry Davy confirmed it to be a new addition to the periodic table. However, when Davy sent a report to the Royal Institution in London, he was mistakenly taken to be the original discover [1, 2]. It is used in polarizing filters of LCD display screen for a high durability with no color distortion . Its addition to edible salts helps in preventing thyroid-related disorders . 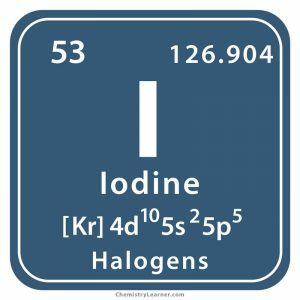 Radioactive iodine (I-131) is used for both scanning and treating the thyroid gland in cases like cancer where its radiation directly acts on the damaged thyroid cells . It is an active ingredient in many antiseptic creams and liquids to treat minor wounds, cuts and scrapes . Decolorized or white iodine also has good antifungal properties to treat toenail infection. It is an important agent used to test starch in different chemical and biology experiments. Accidental ingestion of the element can lead to vomiting, nausea, headache, and severe gastrointestinal issues as result of poisoning. Its vapors may affect the lungs, causing edema. Excessive application of iodine solution can cause irritation and burns . After Louis Daguerre, a French artist and photographer, discovered a method to use I on a metal sample to produce images in 1839, the metalloid was used commercially for photography . 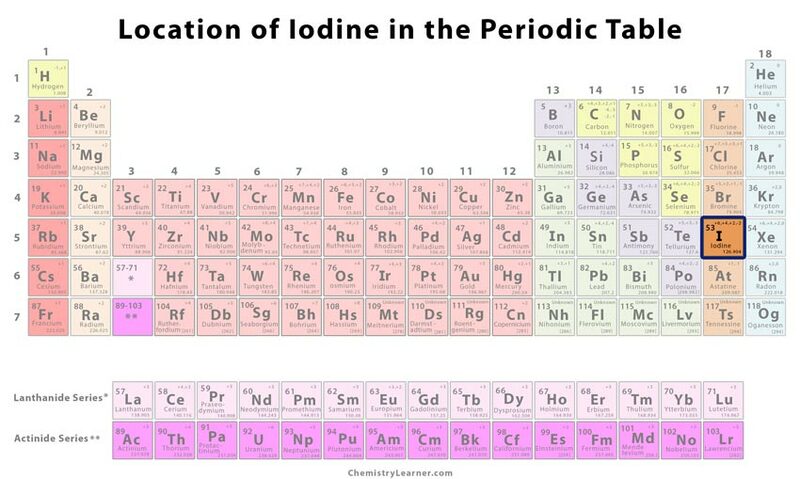 The thyroid gland in an average human body constitutes about 20 milligrams of iodine . The price of pure iodine may vary between $8 and $9 per 100g.